Little Leaf Studios is a photography & graphic design studio dedicated to capturing YOUR life's little moments. 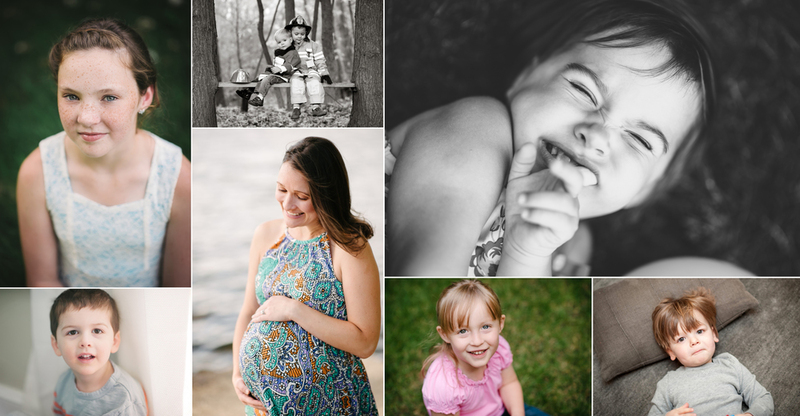 Lifestyle portrait sessions are about capturing candid little moments between you & your family. Maybe you make pancakes or waffles every weekend (like we do!) and would like to document this little family tradition. Or maybe your little ones love to play at the park, explore local gardens/farms or take walks to the library. Or maybe they are happiest playing in their own home or backyard. I would be happy to brainstorm location ideas with you. To schedule your portrait session, please say hello or email me at littleleafstudios@gmail.com. I look forward to hearing from you & documenting your life's little moments. 1 - 2 hour on location or at-home session (South Orange, NJ & surrounding towns). ALL the edited digital files from your session in an online gallery. One mounted 10 x 15 print. Framing is available as an upgrade. Additional à la carte prints are available for purchase directly from your online gallery. Wall Art Canvases start at $125 and are available in a variety of sizes up to 24 x 36. Beautiful handmade leather & linen photo albums are also available. Please inquire for more details. Please note: Payment is due at time of booking. Prices are subject to change at any time without prior notice. Please feel free to contact me with any questions.